This project aims at building a sharing community. The research topic is “ Restaurant and Garbage Station”. I visited various communities with five of my teammates to do the fieldwork about restaurants and garbage transfer stations in the communities. We did interviews, observations, information collection and analysis to help us discover the similarities and differences between the two systems. 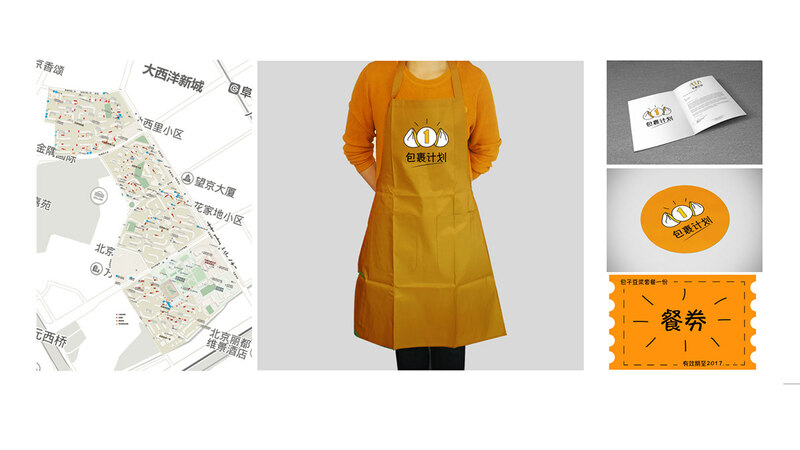 At last we designed a Baozi Plan that connects nine trash collectors with a restaurant that sells Baozi in an community nearby our campus. Baozi are steamed buns or dumplings that are popular and it is a kind of fast food in China. The nine trash collectors could get free Baozi for breakfast by collecting the restaurant trash, thus creating a sharing community which will benefit both the trash collectors and the restaurant. After repeated communication with the secretary of the community and the head of the garbage station within the community, we improved our plan by designing prototype testing and asking for feedback. This project helped me learn what I could do as a visual communicator and what my contribution could be in the society. I could make a real impact in people’s lives and create a system that would benefit the marginalized people in our community. Copyright © Bei (Becca) Hu, Guiyu Liu, Chi Zhao, Tianci Gong, Qianxing Yuan, Bin He. All rights reserved.